Step 1. Place chicken between 2 sheets of non-stick baking paper. Using a meat mallet, pound until 1cm thick. Combine thyme, oil, lemon rind and ¼ cup lemon juice in a shallow ceramic dish. Season with salt and pepper. Add chicken and turn to coat. Cover and refrigerate for 30 minutes, if time permits. Step 3. Arrange salad greens on roll bases. 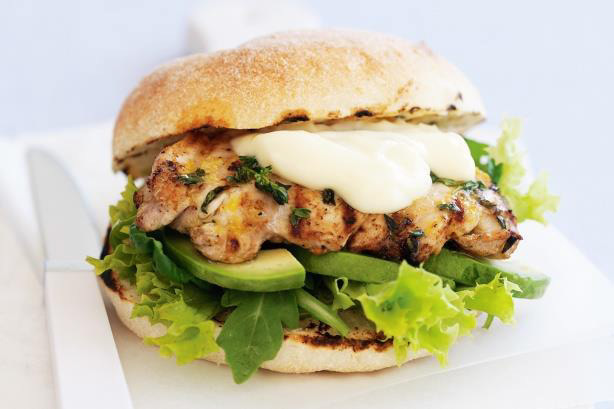 Top with avocado, chicken and aioli. Cover with roll tops and serve.